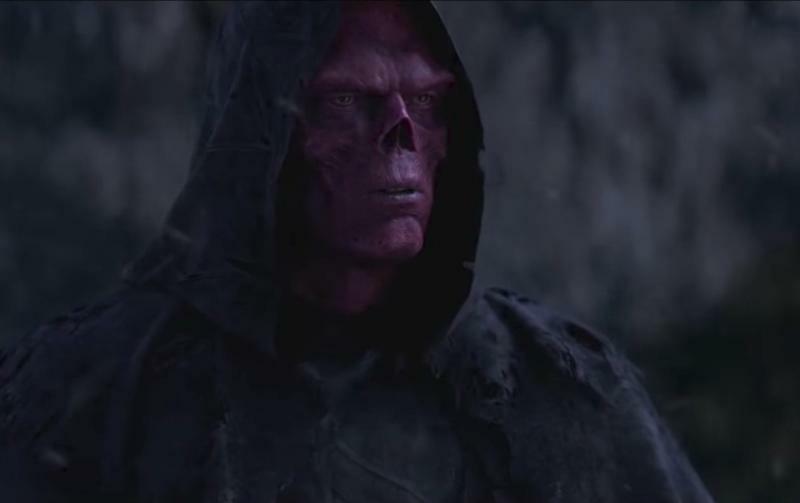 One of the biggest surprises in Avengers: Infinity War was seeing Red Skull make an appearance on the planet Vormir where the Soul Stone was located. The villain of Captain America: The First Avenger was thought to have perished but there he was in the mysterious and uninhabited planet serving as the guardian of the Soul Stone. That begged the question: How exactly did he come across all of this knowledge? The First Avenger didn’t reveal anything about his knowledge, nor did Avengers: Infinity War, which just revealed Red Skull was transported there when he fell through the portal created by the Tesseract. However, the mystery is now solved as we are finally getting answers with Marvel Studios publishing the first ever Marvel Visual Dictionary. The Visual Dictionary goes over the rich history of the MCU movies, touching upon topics in the movies while expanding upon others that help add a better understanding of the extensive lore behind some of the Marvel characters. Interestingly enough, the most noteworthy inclusion is an apparent explanation of how Red Skull came across his knowledge of the Soul Stone. At the beginning of Captain America: The First Avenger, Red Skull visits an old church in Norway to track down the Tesseract, which he does. What the Visual Dictionary reveals is that he also came across “an earthly version of the Book of Yggdrasil.” The Book of Yggdrasil first appeared in Thor: The Dark World where Odin reveals to Thor and Jane Foster that the book is a history of the universe. It expands upon the history of the cosmos and the time of the Dark Elves prior to the Big Bang and the creation of the Nine Realms. Given the explantation of the cosmos, it would be safe to assume the Book of Yggdrasil also contained information about the Infinity Stones and all of their properties, including things like the “soul for a soul” qualifier that involved the Soul Stone. Once Red Skull possessed the earthly version of the Book of Yggdrasil, he studied it to obtain more knowledge of the Tesseract and other Infinity Stones but then Captain American came into the picture and he was unwittingly transported to Vormir with a head full of Soul Stone knowledge.